When we first came to Andorra, I didn’t really know where we should live. We read a few things online and watched a couple of videos, but none of them told the full story. We chose to live in Andorra for it’s great lifestyle, so we wanted to pick the best place to live in the country that suited our needs. In this post I’ll run you through each region, give some pros and cons and tell you my favourite areas of each comu. What you want from where you live in Andorra will be different to me, but my aim is to help you to narrow down your options so you too can find the best place to live in Andorra. The capital of Andorra, Andorra la Vella is for those looking for proximity to the city. Apartments are most common here, though there are some amazing villas on the Northern side of the valley. Pros: Here you are walking distance to everything you need for day to day life – supermarkets, government, schools, the hospital (though it is in Escaldes-Engordany), banks, shopping, bars and restaurants. Cons: If you have an aversion to busy streets and lots of people, it may be best to avoid as it’s population dense. Most of the time it is quiet by city standards, but on a busy tourist weekend it can be mayhem. Depending on the property you choose, parking may be an issue. 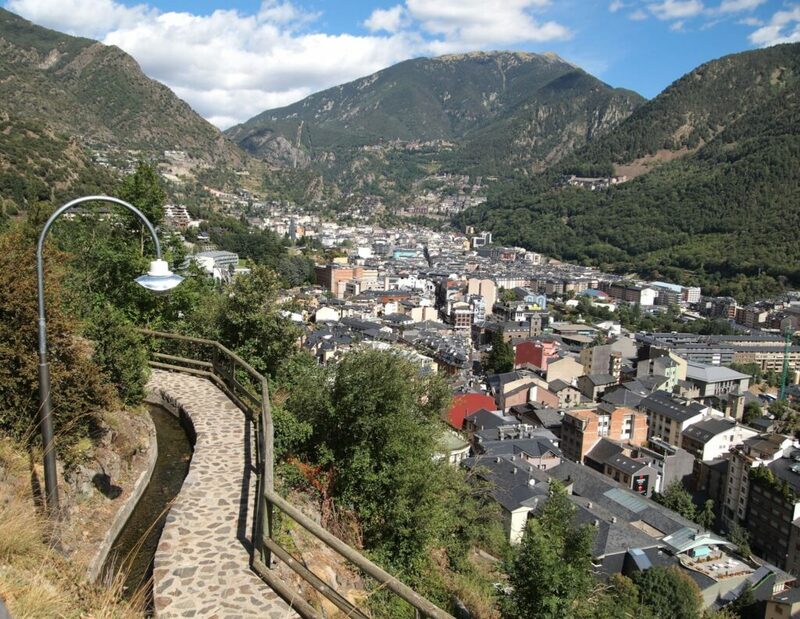 My favourite areas: the sunnier Northern side of Andorra la Vella is where I’d want to be. Up behind the hospital, you’ll find the Rec del Solà. From here you’ll be able to look down on many of the privileged properties of this area. Despite being a stones throw from the city, it’s a quiet place to be. With a gondola link to Grandvalira ski resort, Canillo can be a great place to buy or rent property in Andorra. The centre of Canillo has a charming old town, a supermarket, service station, restaurants and bars. Nearby you’ll find the Museu de la Moto, Roc del Quer, via ferrata, the Sanctuary of Meritxell Basilica and loads of hiking trails. Pros: Small enough to be charming, but enough tourists to warrant many supporting businesses, you won’t feel as though you’re living in a country town. Venture further out and it’s possible to hike, bike or randonnée or snowshoe from your door. Cons: The road to Andorra la Vella can become congested during peak hour, especially on big tourism weekends. It has seen a lot of improvements over the past few years, when these are finished this situation may be much better. My favourite areas: While the old town in Canillo itself is beautiful, I’d potentially give a kidney for one of the few, spectacular properties high up on Carretera de Montaup or in Vall d’Incles. Carretera de Montaup may be the best place to live in Canillo, Andorra. It won’t be cheap though! Potentially the best opportunities however, are in El Forn. Secluded and beautiful, this area is only ~5 minutes by car to the schools and shops of Canillo, but feels a world away. Depending on how high up you go however, you may want to consider a 4×4, as these roads aren’t likely to be first preference for clearing. Known by some to be a “working class” comu, Encamp is where you’ll hear plenty of Portuguese in your day to day life. It’s typically cheaper to buy or rent in Encamp than it is in most other comus, a good opportunity if you’re willing to take it. 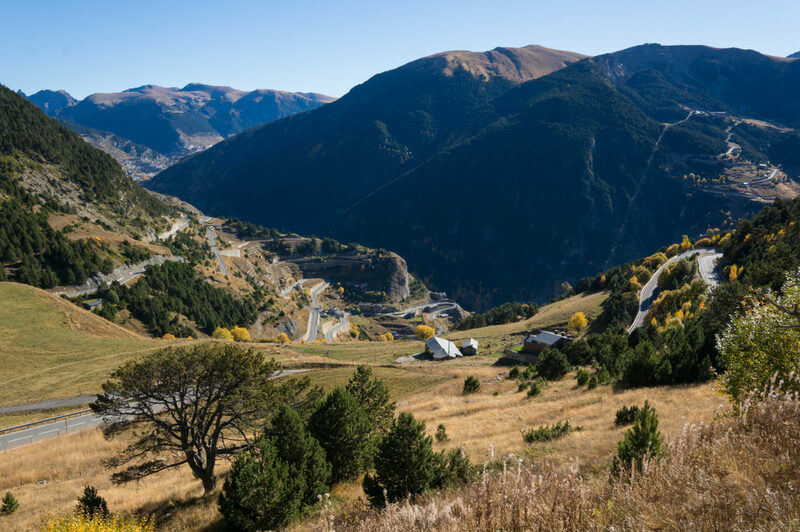 When driving out of Andorra into France, you’ll pass through Encamp once more through Pas de la Casa. The Pas isn’t for me, but if living there suits your needs you can likely get a sensational deal due to an oversupply and lack of demand. Pros: 5-10 mins drive to the city. Encamp has it’s own gym, school, supermarkets, banks, bars and restaurants, along with a gondola for Granvalira ski resort. It’s very well serviced. Cons: The centre of Encamp isn’t the prettiest – it is potentially higher density than the city. It’s a busy village from my point of view. My favourite areas: Without a doubt, Vila which gets sun all day long, or Cortals d’Encamp. If you are in/out of home regularly and need good road access, check out Vila – reports from a friend who lives there are that they rarely need to turn the heater on, even in winter thanks to the direct sun. If you are more interested in a secluded spot, go for a drive up Els Cortals d’Encamp. It is absolutely gorgeous in summer, and close to the end of Cami del Llac d’engolasters. Just be weary of where you consider here, as it will be cold during winter in the shade and road access may be tricky on a handful of days each winter. Don’t be fooled – Escaldes is different to Andorra la Vella. The comu is split half way up the shopping mall of Avinguda Meritxell, along Carrer de la Unió. 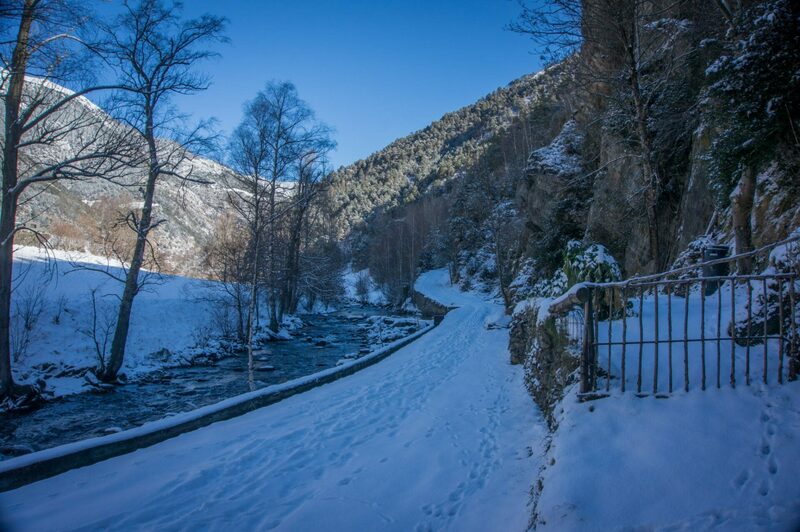 Escaldes is diverse in that it houses part of Andorra’s business and shopping district, modern and new apartments, 7 figure villas, restored farm houses, a thermal spa resort and a good portion of Andorra’s UNESCO World Heritage site. Pros: Very central, with lots of options on how you choose to live; from secluded to right in the middle of everything. Everything that you can access from Andorra la Vella is only a stone’s throw from Les Escaldes. Cons: Similar to Andorra la Vella, you’re at the mercy of the traffic. If the tourists are in town, you’ll know about it. Parking can be an issue, or at the very least will end up being expensive over time, so factor it into any property you look at. My favourite areas: While there are some spectacular properties in Els Vilars, my pick is on the road towards Engolasters. You’re only 5 minutes from the city, but with the right property you’d never know about it aside from the incredible views. This seems to be an under-appreciated area, so prices seem to be reasonable. Dramatic music aside, this video gives you a fairly good idea of what the views are like from high on the Engolasters road. The town of La Massana itself is where the main telecabina for Vallnord’s ski and bike resort begins, and where you’ll find restaurants, bars, supermarkets, doctors, dentists, a school, mechanics and so on. 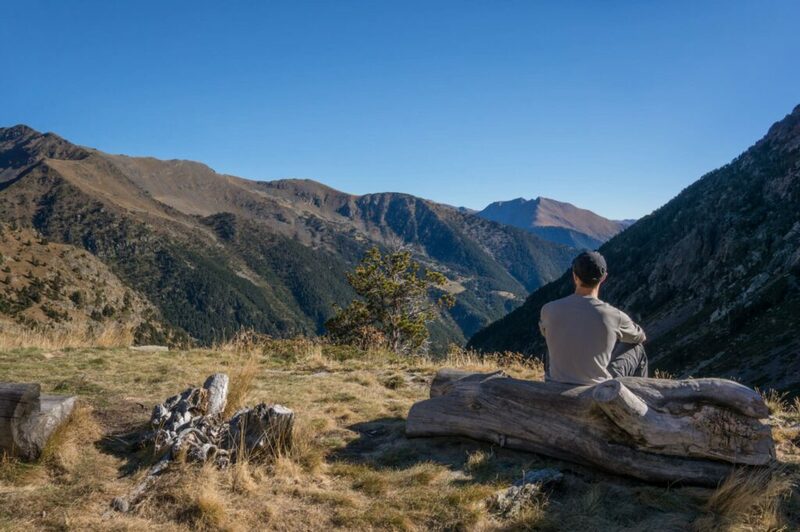 It’s often where most expats begin their time in the country after deciding to live in Andorra. An international school is located in L’Aldosa. 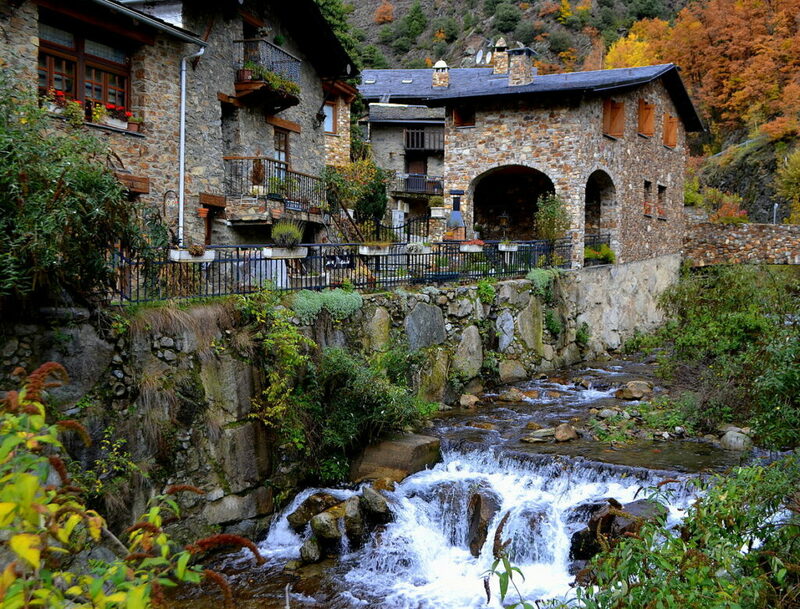 La Massana is where it’s not uncommon to hear conversations in English on the streets. In fact if you head further north to Arinsal, you will meet staff that speak English but have the most basic of basic Catalan or Spanish. To anyone who isn’t a native English speaker, it’s a good enough reason to avoid Arinsal, but to others this is the familiarity they need to feel at home. Pros: Has everything you need – you could comfortably live in La Massana, only venturing down to the city once every few months. It’s a great commune to live in if you’re active as there are many opportunities for sports, such as hiking, biking, skiing, via ferrata, horse riding and so on. Lots of English. Though built up, there are still idyllic escapes from nearly every doorstep in La Massana. This is me next to Refugi de la Comapedrosa, which you can hike to from Arinsal. Cons: Traffic in/out of La Massana can get congested on busy days or during peak hour. The main street of La Massana isn’t the most attractive. Drunk Brits (kidding, I think this is seriously overstated). My favourite areas: L’Aldosa is a gorgeous spot – close enough to everything but quietly tucked away. Otherwise Escàs, as it’s at the bottom of the bike park, is a short walk to the main street and still gets sun. If you are a cyclist, Els Oriosis of Anyós is a great place to live, as it’s right next to one of Ordino’s most popular cycling routes, Beixalis. 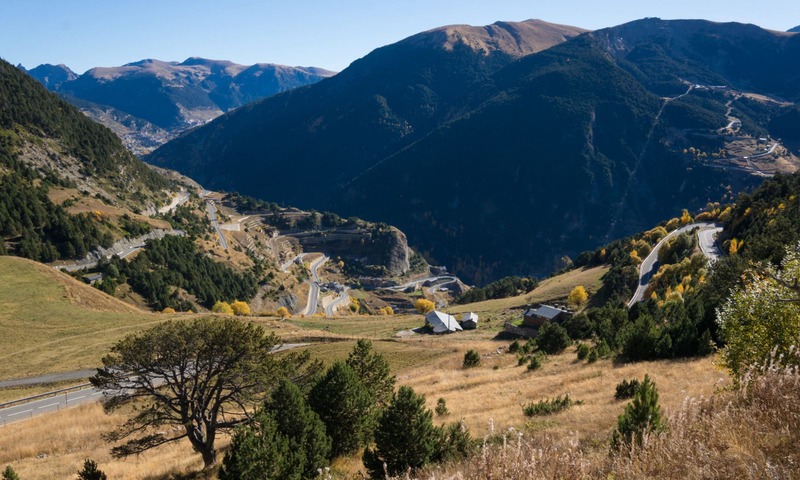 Locals will probably feel otherwise, but I find Arinsal to be a good opportunity – what was once a bit of a ghost town now in Summer seems to be filling up with year round residents as more and more people call Andorra home. The place I’ve been calling home since moving to Andorra, Ordino is very scenic and fairly distributed. The main town of Ordino is where a good portion of it’s residents live, and is home to most of the services, such as the school, gymnasium, bars, a bakery, restaurants and a general store. There are no supermarkets in Ordino, so you need to head to La Massana or the city. As far North as you can go in Ordino is where you’ll find Arcalis, part of Vallnord’s ski resort. This is where many of the locals will ski – from my point of view, the snow is better and you get more of it to yourself! 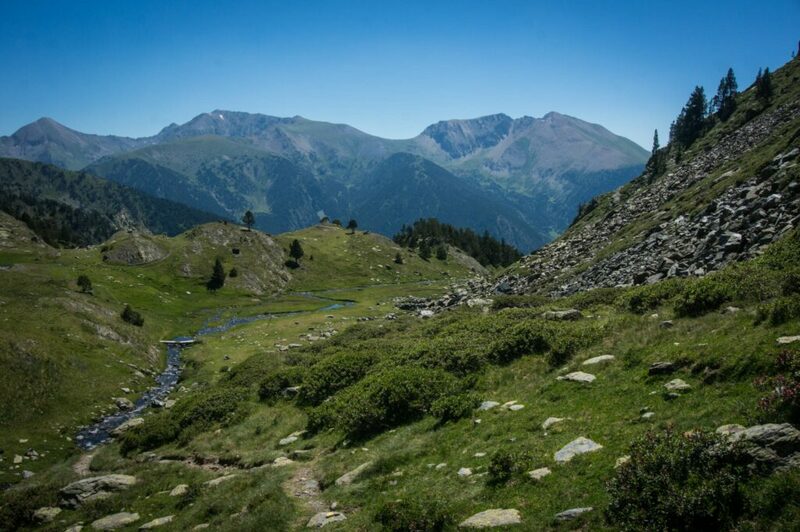 In summer, Ordino is a hiker’s paradise, with loads of trails and beautiful lakes. For my needs, Ordino is the best place to live in Andorra. Pros: Close communities, with many options to live in smaller villages, all well serviced near a major road. Great snow, loads of natural environment next to your door. Gorgeous old town. Cons: Potentially the coldest area to live, where you’ll be lucky to find a property that gets full sun all day long. No supermarket. Can be blocked by traffic to the city on busy days or when there is heavy snow. My favourite areas: Segudet, near the school is unbelievably handy to the old town, where you can grab a morning coffee, but it’s still nice and quiet. A few kilometres north you’ll find La Cortinada, which has a small golf course and is equally as beautiful. For bargain hunters, El Serrat is where you can find houses for the price of townhouses, but keep in mind it’s an extra 5-10 minutes in the car each way to/from the city and some pockets are brutally cold. The southernmost comu of Andorra, Sant Julià de Lòria is lowest in elevation too, typically bringing warmer weather. It’s the home of Andorra’s university, Naturlandia, some enormous shopping centres and many world class cycling routes. 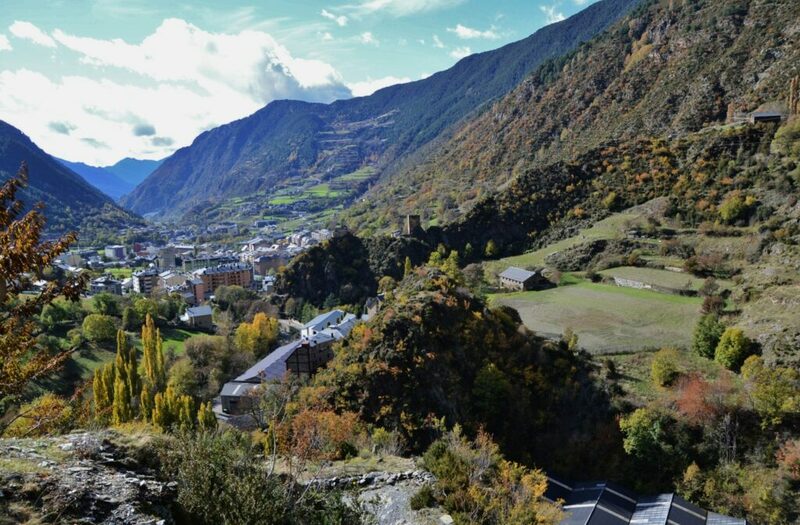 Pros: If you travel regularly like many of the pilots that call Andorra home, Sant Julià is surely worth a look in. Only a few minutes drive to the border into Catalonia, it’s as close as you’re going to get to Barcelona airport. It’s warm, has everything you need, and property prices are some of the cheapest in the country. Cons: As a mountain biker, the steepness of the roads here make my knees hurt just thinking about it. Whether you’re biking or driving, there’s a lot of up and down involved if you want to live in a more scenic area. My favourite areas: In Aixirivall one can pick up a chalet with garden and insane views for the price of a penthouse in Andorra la Vella, and you’ll likely get a lot more sun. If I, like the many people who buy a second home in Andorra, were only visiting to escape the heat in summer, I’d strongly consider Bixessarri – a gorgeous little town in a valley, set next to Riu d’Os. The best part about Andorra is that no matter where you are, you’re only ever a half an hour away from anything – maybe an hour on a heavy snow day. Further to this, every home in Andorra has fibre optic internet, so you don’t need to worry about living in a bad area for internet. Still Not Sure Where to Live in Andorra? Of course, if you’re moving to Andorra for good, the place you choose can make or break your experience. Avoiding the wrong place to live can really help you and your family make the most of your move to your new home. If you want some help finding the best place to live in Andorra, try posting in one of the many forums or social groups in Andorra, or drop me an email with some info on who you are and what you want from living in Andorra. I’ll do my best to point you in the right direction. Thanks so much this was so helpful and informative. I fell In love with Andorra years ago from going there on ski holidays and am dreaming about having a holiday home there one day. Hi Timothy, thanks for taking the time to leave a comment and for your kind words. I hope that dream becomes a reality one day soon!